How do I check if my Florida mail-in ballot was rejected, or received and accepted? The votes most frequently rejected are mail-in ballots. 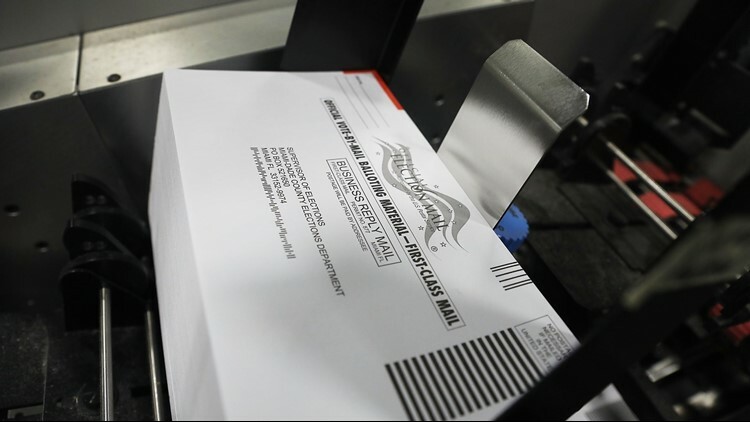 TAMPA, Fla. -- More than five million Floridians have already cast ballots in the 2018 midterm election, with nearly half those votes coming via mail-in ballots. But, voters who want to know if their vote was received and accepted may want to go online before Election Day to confirm there were no problems. Mail-in ballots have a higher rejection rate than any other type of voting, largely because they were not received in time. But mismatched -- or forgotten -- signatures are also a common issue that could void out votes. Each county's supervisor of elections has a webpage where you can check the status of your mail-in ballot. You can also go to the Florida Department of State's website to confirm your registration, then click the link at the bottom of your personal page to head directly to the county's record of your mail-in ballot. Join 10News on Election Night for the fastest results and best analysis as the votes are tallied. We'll stream live coverage from 7 p.m. to 11 p.m. on the 10News app, Facebook, Twitter, and YouTube.